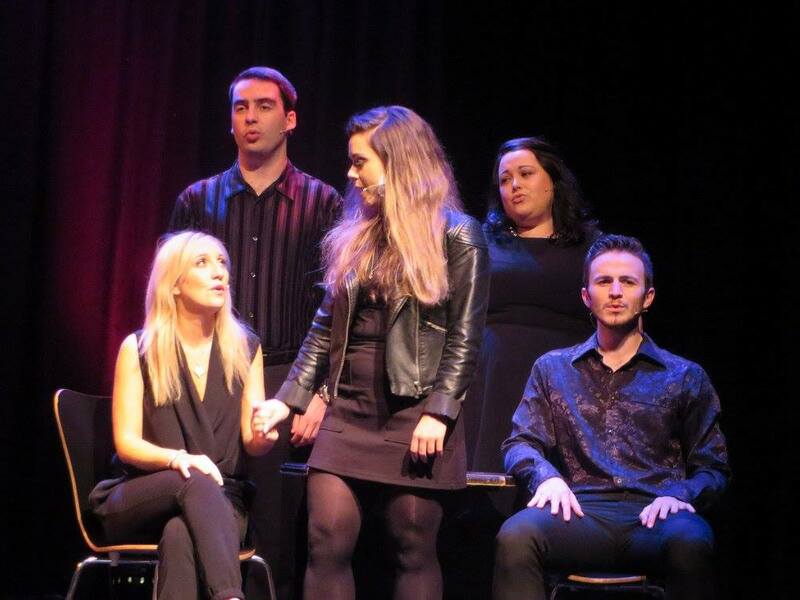 One of the most exciting musical theatre revues of the year will commence its Irish tour in the National Concert Hall, Dublin on September 9th when ‘Listen To My Heart - The Songs of David Friedman’ is staged at the John Field Room. 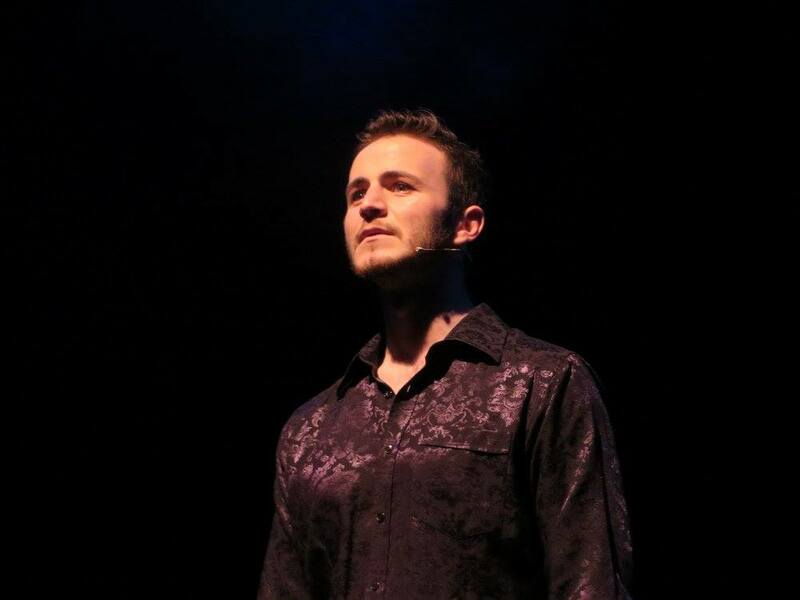 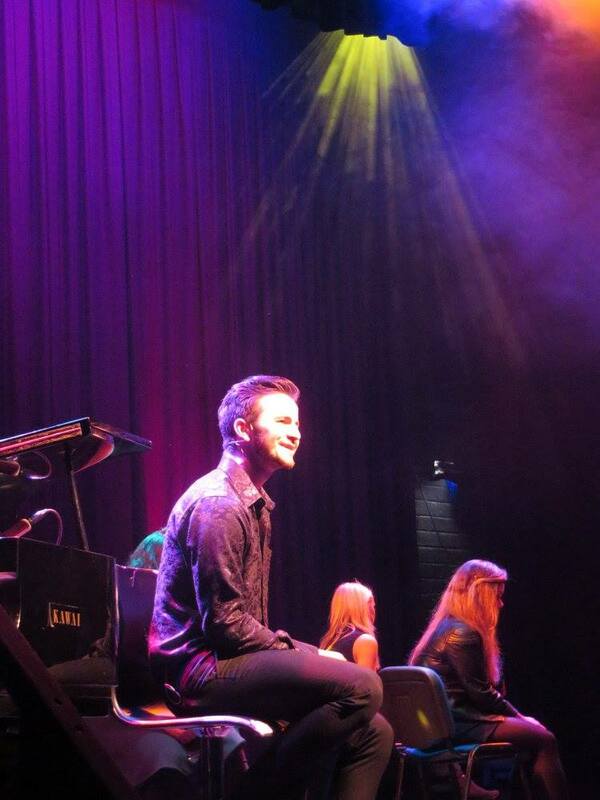 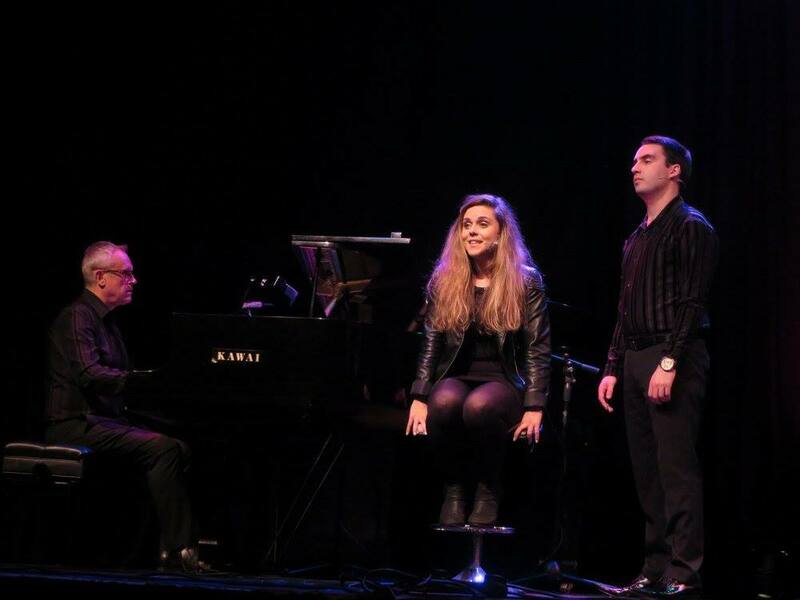 Five of Ireland’s leading young musical theatre voices will bring the astounding sounds of the acclaimed American composer and arranger to a Dublin audience, before continuing its tour in Kilkenny and Galway later in the month. 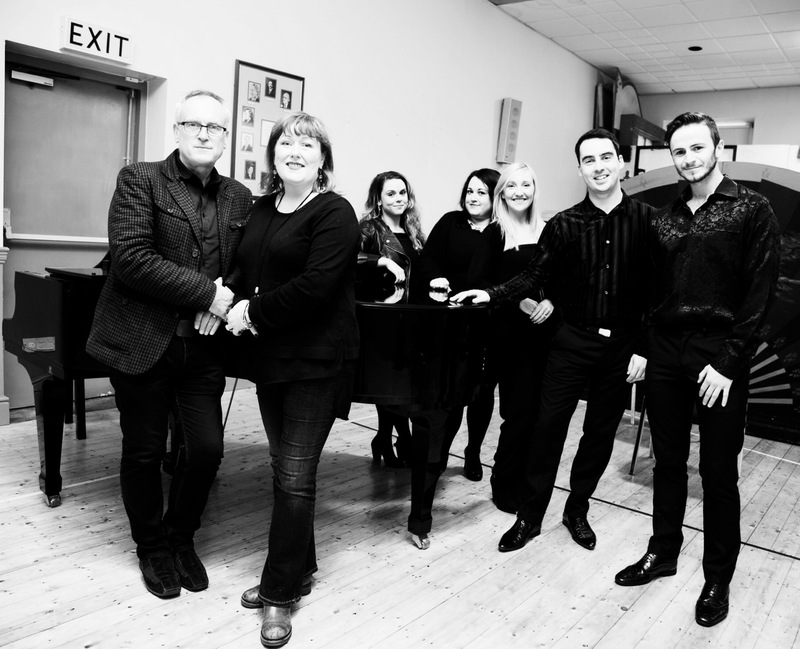 ‘Listen To My Heart’ is an exciting musical revue, which features two dozen songs by David Friedman, who is synonymous with the Disney musical catalogue ‘Pocahontas’, ‘Beauty and the Beast’, ‘The Hunchback of Notre Dame’ and ‘Aladdin - Prince of Thieves’. 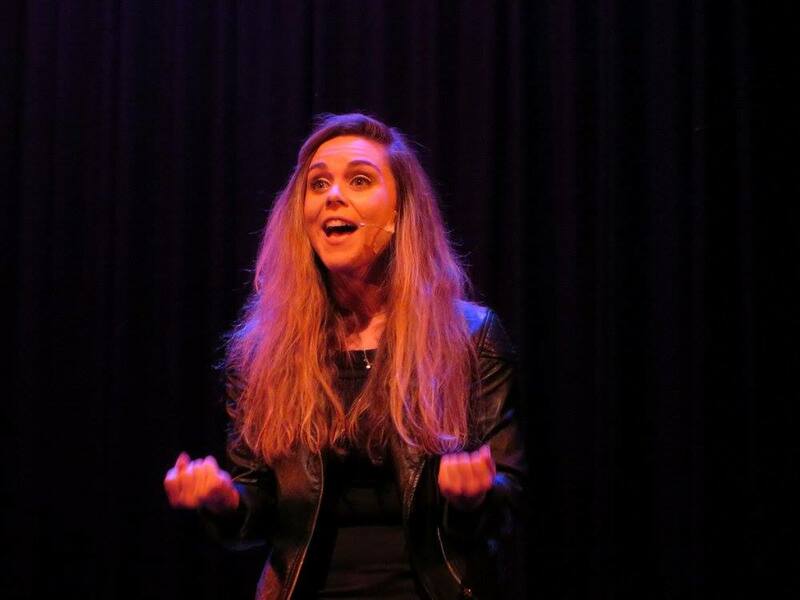 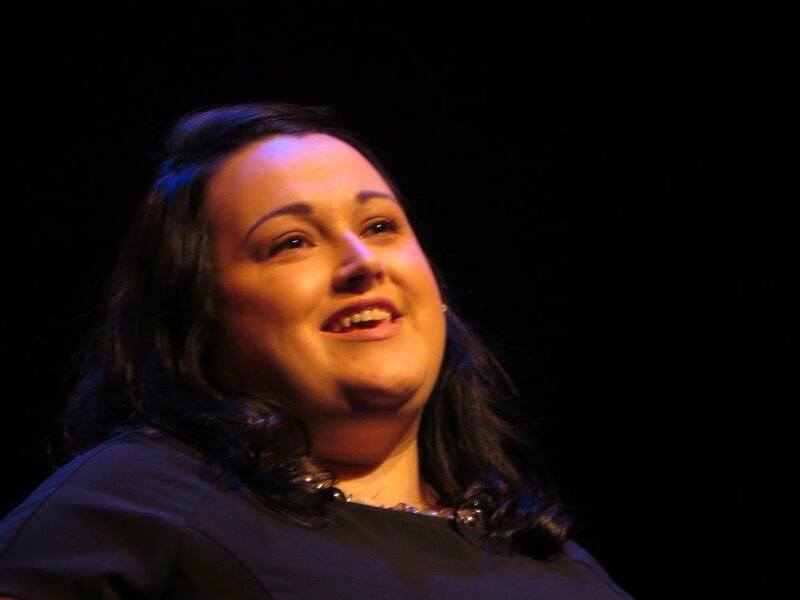 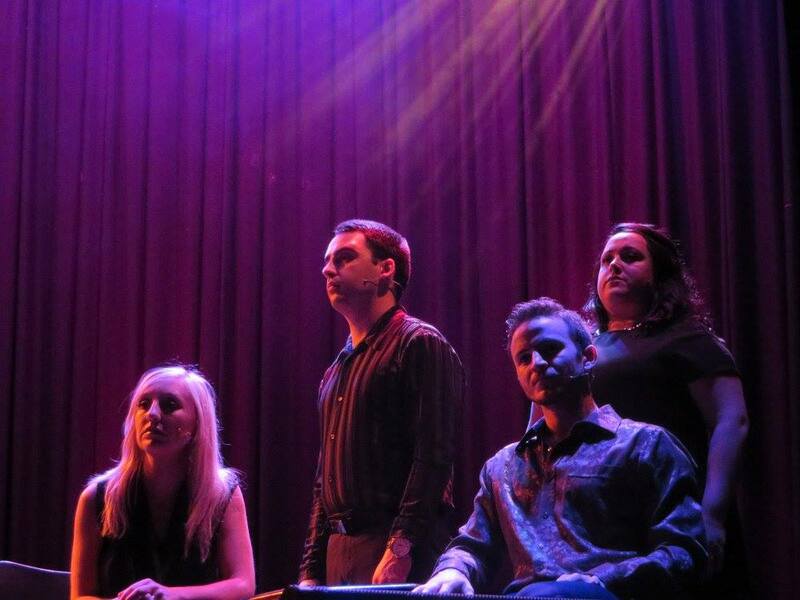 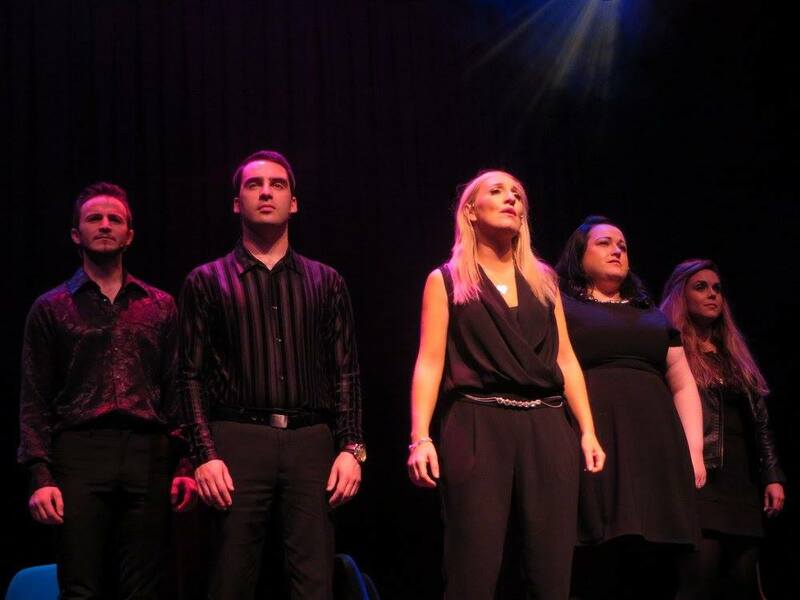 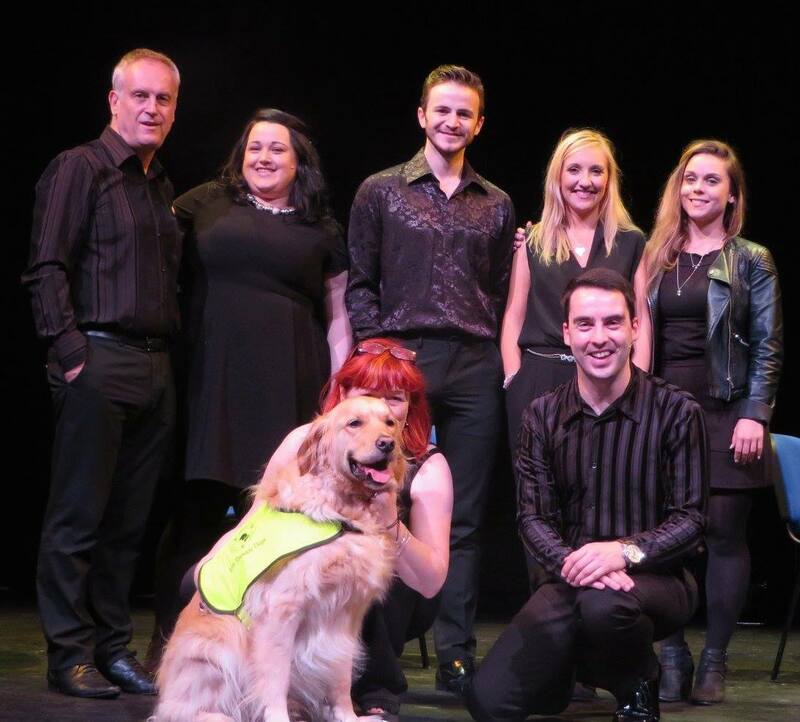 Performers in this five-handed, uplifting musical revue include Dubliner Sara Byrne, Elaine Hearty from Laois, Wexford’s James McDermott, Kevin Fagan from Meath, and Kilkenny native, Sarah Brennan. 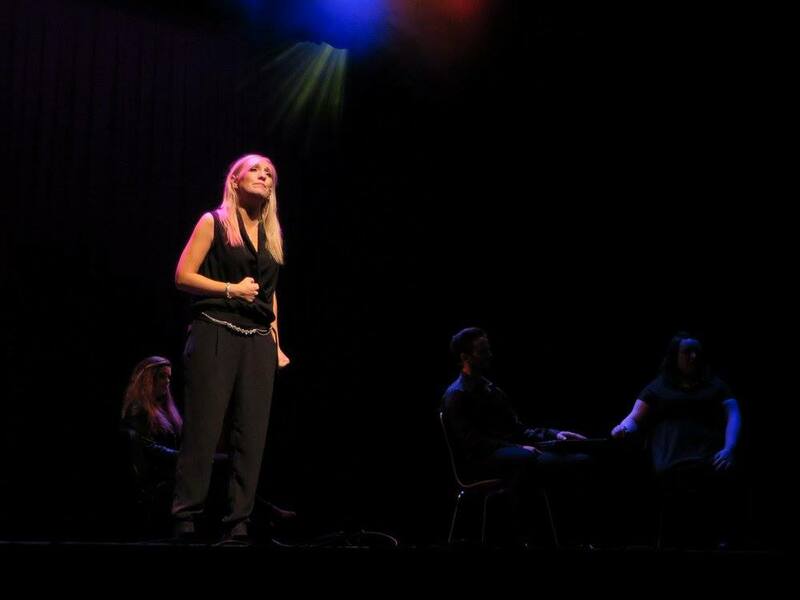 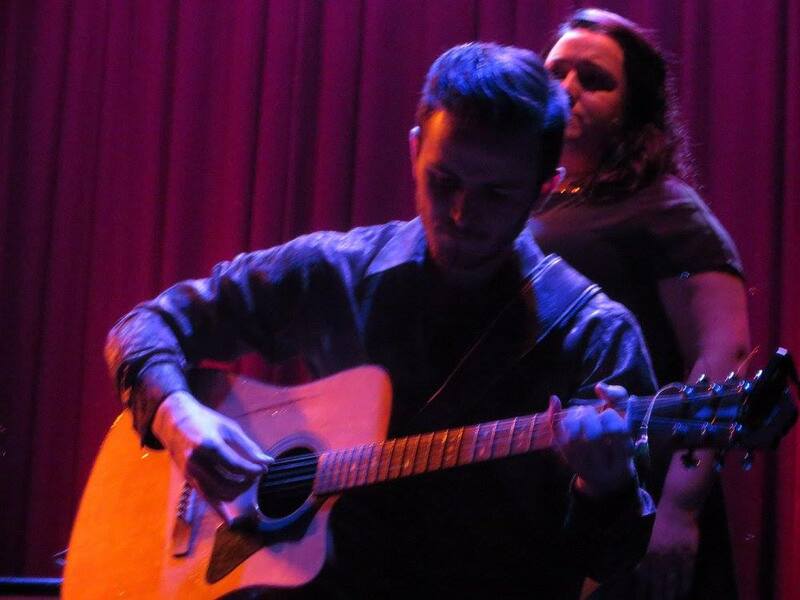 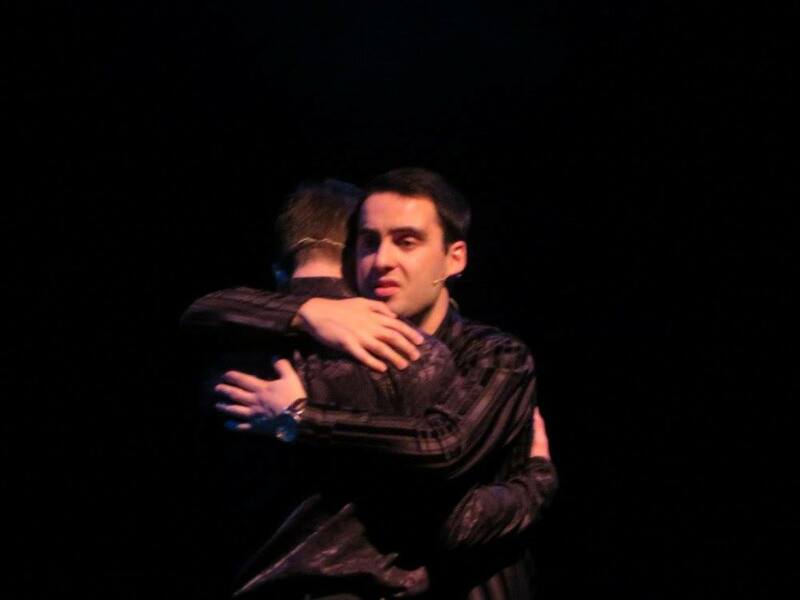 All performers have extensive acting, film and musical theatre credits and combined offer a night of unparalleled musical heart, sincerity and joy. 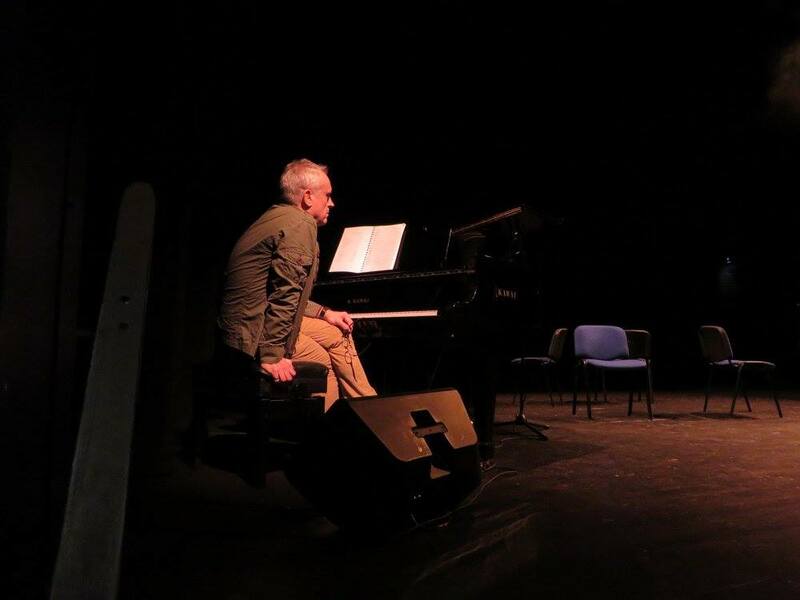 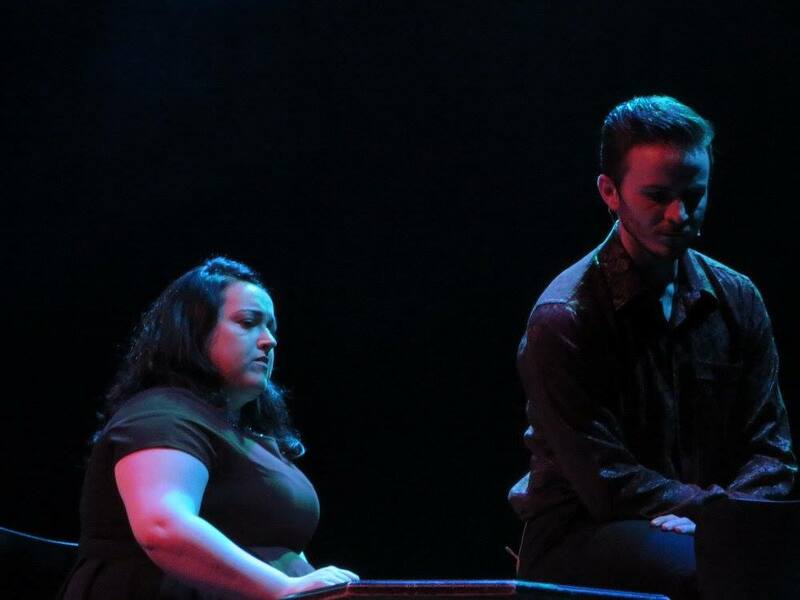 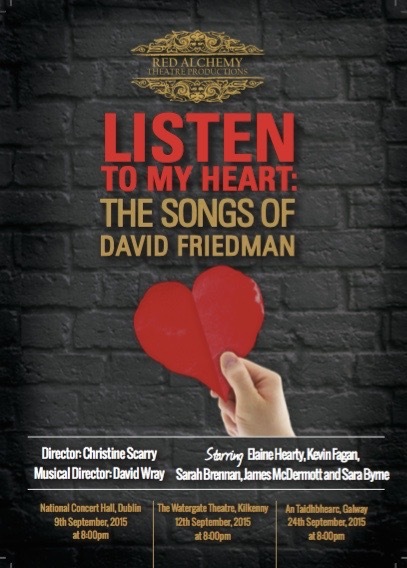 ‘Listen to my Heart - The Songs of David Friedman’ is being brought to Ireland - and will tour to both Kilkenny and Galway after its Dublin debut - by Red Alchemy Theatre Productions under the direction of Christine Scarry and musical direction of David Wray.